If you haven’t heard the news about Manifest, where the heck have you been? Well, if you somehow managed not to hear, NBC has picked up a second season for the show! And yes, I am very excited, and you should be too. Of course, this also means we get more Josh Dallas on our screens, which is pretty cool. (Unfortunately, I couldn’t fit all the best scenes I wanted to because there was a lot, so I condensed it a bit). This moment is too good not to talk about — it’s literally ICONIC. Not going to lie, but this may be one of the best moments in OUAT history. His entrance is just so extra, and I am totally going to walk into rooms like this from now on. Prince Charming sure knows how to make a memorable entrance. Also, “Powerful Magic” as a whole was a jam. Someone reminded me of this moment between David and Emma, and well, it speaks for its self. I always did enjoy some bonding between the father-daughter duo. What made it even better was the comment, promising a future bromance between David and Hook. That was SUCH a dad comment, too which made it even better. The flashbacks with Ben always make us tear up a little bit, especially ones with his kids. I guess this isn’t so much a moment as a trait as a whole that we like about Ben. The flashbacks with Olive hurt because he’s missed so much of her life. He’s certainly a family man. You know, when he’s not trying to figure out this whole missing for 5 years thing. Someone mentioned to me on Twitter that Ben Stone in glasses is always a great moment. Through the run of season 1, I swear most of the tweets I stumbled upon were about Ben’s glasses. It’s nice to see a fandom agreeing about something on a show, and for Manifest, it’s the fan club of Ben’s glasses. That’s what I like about this fandom, though. Now, this was a Dad move. 4×04 of OUAT is definitely in my top 5 for best episodes. The moment when Emma came through the door after her date with Hook, David went into protective dad mode. However, he made it clear he certainly didn’t want to know every detail about the date. LOL. He was so stern…and serious. David was the definition of brooding in this scene. Josh Dallas has had many iconic scenes from both shows. I’ll be back covering the show when it returns to NBC this fall, yay. I am sure there will be even more angst coming our way, so until then, relive some of Dallas’s moments as Ben Stone and Prince Charming. 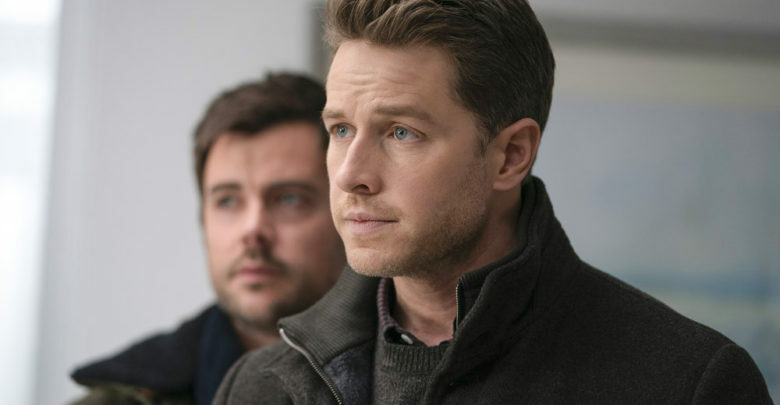 What’s your favorite Josh Dallas moment from either show? Comment below or tweet us!